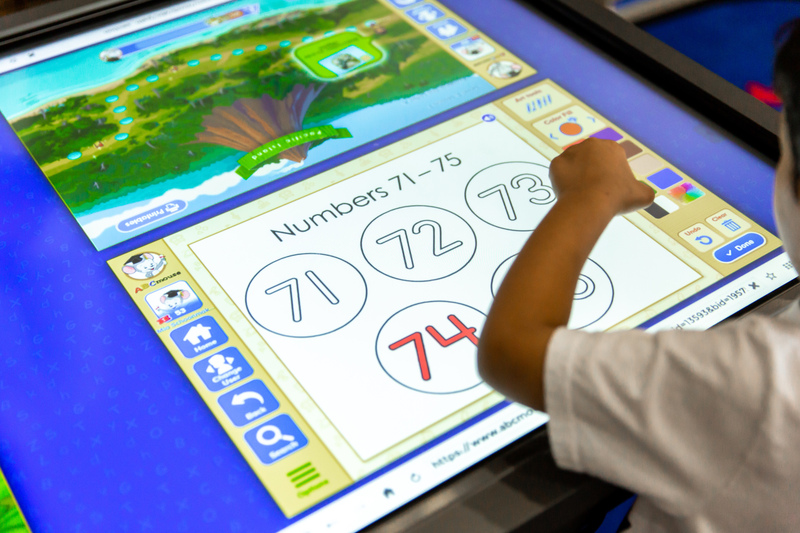 Kid Orange Tech has added a new addition to its line of innovative, digital learning tools: Clear Touch Interactive panels. The state-of-the-art products transform the ABCmouse SCHOOLS digital content into an impactful learning experience. Imagine over 10,000 learning activities come to life right beneath your fingertips. 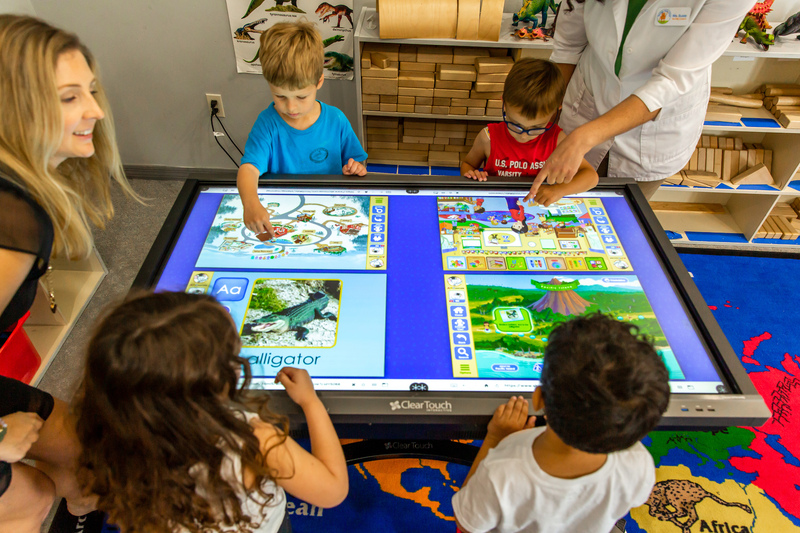 The Clear Touch Interactive panels lets early learners have meaningful engagements with technology that personalizes and supports the development of learning goals. Clear Touch interactive panels captures student’s minds and encourages them to interact and learn differently. With a 180-degree rotating screen, teachers can easily create an interactive tabletop environment for all students, regardless of height. The 20 points of touch also means teachers can have multiple students work on the board at the same time. 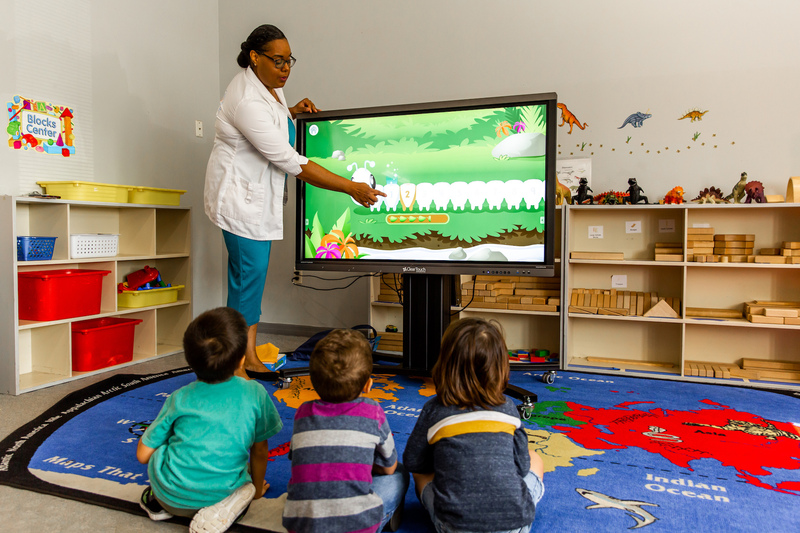 Clear Touch Interactive panels provide a powerful, sleek way to promote student engagement and changes the face of early learning classrooms. Clear Touch offers superior HD picture quality, easy-to-learn software, simple IT management and integration, and automation features making it easy for directors and teachers. Each panel includes the convertible mobile stand for use in table-top or presentation mode for easy student access and collaboration. Wifi and onboard PC with Windows 10 is preinstalled for mobile use across classrooms. Take a 30-minute tour of the Clear Touch technology to find out how it can transform your classroom. Access training modules and resources on Clear Touch basics, such as powering on, connecting to external devices, and installing software, as well as more advanced topics.